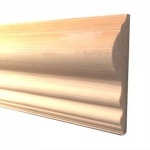 Give your home a traditional look with our convex flute moulding. With it's symmetrical fluted convex shape it has a multitude of applications. 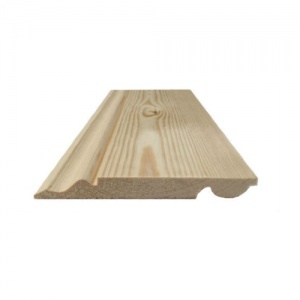 Often used as a traditional style architrave in conjunction with corner blocks or as a dado rail. Property treated or painted it is sometimes used outside as a decorative moulding. 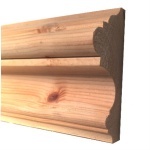 Made from top quality Scandinavian Pine, supplied unfinished it can be painted, stained, varnished, oiled or waxed. 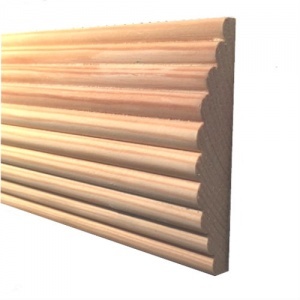 Available in 4.2m and 2.1m lengths. 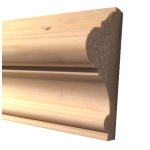 Can be cut to specific lengths, call us with your cutting requirements.